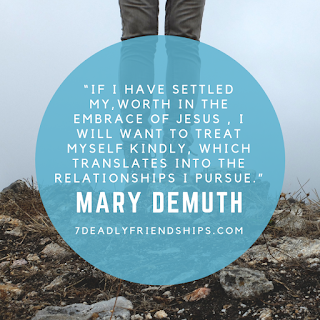 Mary DeMuth has blown me away, again. My first encounter with her was when she spoke at my church. And then I bought her book- Jesus Everyday, which blew me away. I'm sure you've all heard the saying, "Pray to God like you're talking to a friend." I've always had an issue with that. I didn't know how, and if I should- He is the Almighty, does he really want me to gab on & on like I do with my friends? Yes, yes He does. In reading Jesus Everyday, I was able to experience how Mary prays, and became comfortable with the thought of that type of praying. I love it now! So, today, Mary released The Seven Deadly Friendships- How to Heal When Painful Relationships Eat Away at Your Joy. And y'all, read this & you'll see why I say Mary blew me away, again! We all have the friendships where you give more than you get. Or the one where someone twists every single thing back to them so that they are the main attraction, always. Whatever your issues, Mary touches on a great many of them. And she speaks about how to handle them biblically. It doesn't have to be something we rehash over & over in our minds, bugging us to death. 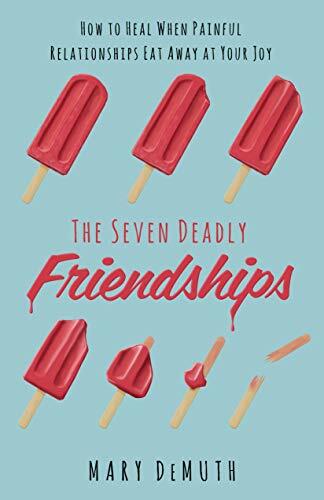 Through this book, I've been able to identify what is wrong in the friendship, and biblically process and deal with the relationship. Sometimes, it's best to roll up your sleeves and get through it, even when it's ugly, and sometimes it's just time to cut it out of your life. Mary walks readers through all of this in this wonderful book. By the time you're finished reading and dealing with your problem relationships, you walk away with it off your shoulders, really being okay about whatever the outcome. I highly recommend this book to anyone! 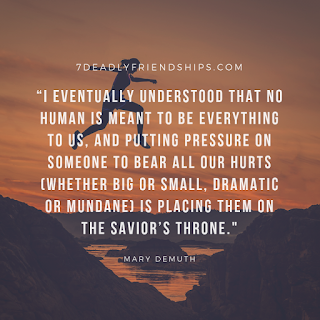 Do you have a deadly friendship? How do you deal with them?